Coleman will be delivering the 11th annual Thomas Willis Lambeth Distinguished Lecture in Public Policy, set for Thursday, Nov. 29, at 5 p.m. in Hill Hall’s Moeser Auditorium. The event, originally planned for Sept. 13, was rescheduled because of Hurricane Florence. The event is open at no charge to the public. The Association of American Universities was founded in 1900 to promote strong programs of academic research, scholarship and undergraduate, graduate and professional education. Its members include 62 of the leading universities, of varying sizes and missions, in the U.S. and Canada. Coleman became president of the AAU since May 2016. She previously was president of the University of Michigan (2002-14), president of the University of Iowa (1995-2002), provost of the University of New Mexico (1993-95) and associate provost and dean of research as well as vice chancellor for graduate studies at Carolina (1990-93). She earned her bachelor’s degree in chemistry from Grinnell College and her doctorate in biochemistry from UNC. Throughout her career, Coleman has promoted the educational value of diverse perspectives in the classroom and within the academic community, and she has worked in numerous venues to improve access to higher education for all. 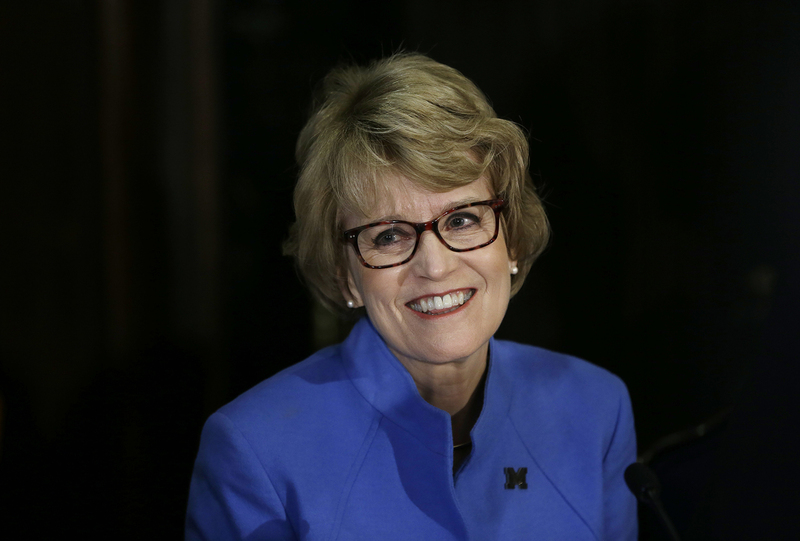 At Michigan, she oversaw a groundbreaking partnership with Google to digitize the university’s 7 million-volume library; launched institutional partnerships with universities in China, Ghana, South Africa, Brazil and India; revitalized student living and learning experiences through a residential life initiative; and worked to promote economic revitalization and innovation within the state of Michigan. In 2010, she helped launch then-President Barack Obama’s Advanced Manufacturing Partnership, and U.S. Commerce Secretary Gary Locke named her as co-chair of the National Advisory Council on Innovation and Entrepreneurship. For her leadership in higher education, Time magazine named her one of the nation’s “10 best college presidents.” The American Council on Education honored her with its Lifetime Achievement Award in 2014, the Michigan Roundtable for Diversity and Inclusion recognized her as Humanitarian of the Year, and the Michigan Women’s Foundation presented her with its Trillium Lifetime Achievement Award. She has honorary degrees from seven institutions, including UNC; the others are Notre Dame, Indiana, Michigan State, Grinnell, Dartmouth and Shanghai Jiao Tong University. Coleman is an elected member of the National Academy of Medicine and a fellow of the American Association for the Advancement of Science and of the American Academy of Arts and Sciences. In those roles, she has led studies on the consequences of lack of health insurance within the U.S. and the erosion of state and federal support for the nation’s public research. The lecture series, presented by UNC’s department of public policy, is named for the 1957 UNC graduate and former executive director of the Z. Smith Reynolds Foundation. It was endowed in 2006 to bring to campus distinguished speakers who are practitioners or scholars of public policy, particularly those whose work addresses education, ethics, democratic institutions and civic engagement. Lambeth served as administrative assistant to then-Gov. Terry Sanford ’39 (’46 LLBJD) and to then-U.S. Rep. Richardson Preyer. Later, for more than two decades, he was executive director of the Reynolds Foundation. During his tenure, the foundation awarded grants totaling more than $260 million to address many of North Carolina’s most pressing policy issues, particularly social justice and equity, governance and civic engagement, education, community-building and economic development, and protection of the state’s natural environment. Lambeth is a recipient of the GAA’s Distinguished Service Medal, the University’s Distinguished Alumnus Award and the Davie Award for service to UNC. He is a past chair of the GAA Board of Directors. He now chairs the GAA-sponsored Tar Heel Network, which supports the University’s goals and priorities through advocacy with legislators, and he serves on the GAA Board of Directors.